A native New Yorker, Barbara began a very exciting advertising and marketing career on Madison Avenue. She founded Responsive Research, Inc. and spent over thirty years as a marketing consultant, conducting focus groups for Fortune 500 companies, including Coca-Cola, American Airlines, General Motors, General Mills, IBM and 3M to name a few. In 1975, she moved to Los Angeles where she continued to work and raise two children. In 1993, she founded Salon Forum, a non-business venture, to bring women together in her home for events that support personal enrichment and connection. 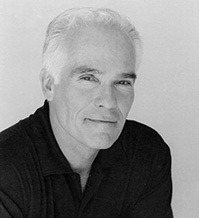 In March of 2008, Barbara and other women of Salon Forum were inspired by one of its speakers, Gil Garcetti, to start Wells Bring Hope. In January of 2009, she was one of six women who visited Niger for the first time, a life-changing experience. She began speaking to community groups and schools to generate awareness of the water crisis in West Africa and raise money for Wells Bring Hope. She continues to do so on a full-time, unpaid basis, taking time out to spend with her three adorable granddaughters. Larry has deep executive experience leading established and start-up enterprises. 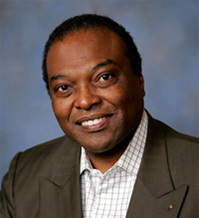 He is the founder and CEO of LR Johnson Associates LLC, a specialty foods distribution and marketing firm. In addition, Larry serves as Director of the Center for Strategic Corporate Development at El Camino College’s Business Training Center. He also serves on the Board of Wells Bring Hope, a not for profit that drills water wells in Western Africa. Previously, Larry provided corporate finance advisory and investment banking services for both Deloitte and Price Waterhouse. Larry maintains an affiliation with the Los Angeles consulting firm of Stanton Associates LLC. Larry is an active Member of the Rotary Club of Manhattan Beach, and has served in a variety of leadership roles in Rotary International's District organization in the Los Angeles area. He is active in the local Episcopal Church, where he currently serves as a youth leader. A Louisiana native, he is a graduate of Boston College and also has an MBA from Columbia University. An avid golfer, Larry also is an aficionado of the Los Angeles Philharmonic. Janet Doak has a long history of organizing, fundraising, management and serving on Boards of Trustees. She served for 22 years as Executive Vice President of the House Ear Institute where she managed many volunteer fundraising groups. Before retiring she was elected to House Ear Institute Board of Trustees. 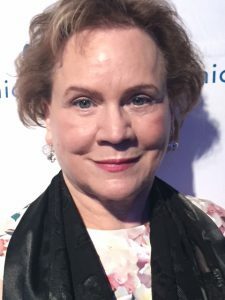 She served as President, Los Angeles Chapter of the Association of Fundraising Professionals and was named Professional of the Year in 1998. She previously served on the Board of the United Presbyterian Foundation, the University of the Ozarks, the Dashew Center for International Students, UCLA, and the San Francisco Theological Seminary. 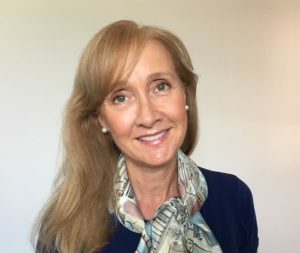 Jan is a graduate of the University of Illinois with a BA in English, where she was Phi Beta Kappa and University of Idaho, where she received a Master of Education. She taught junior high school in Illinois and Santa Monica. 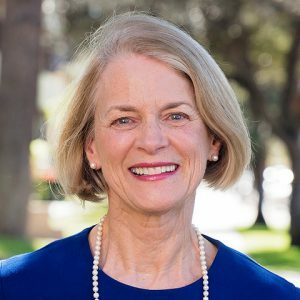 She is currently serving on the Board of Trustees of the New Theological Seminary of the West, Mychals Learning Place and is President of the Board of Directors for the University Religious Conference, UCLA. A native Georgian, Ida worked as Project Manager for IBM and Federal Contracting Services for 20 years. Prior to that, she was Assistant Dean of Students and Director of Academic Skills Center at two Wisconsin universities. She has an MBA from the UCLA Anderson School), as well as an MA in English Literature /Linguistics and an AbD in Higher Education, from University of Wisconsin-Madison). She also graduated from the Project Management Institute (PMI) Leadership Master Class and has earned her Project Management Professional (PMP) credential. She has been an active member and volunteer in PMI for 25 years. She was President of the LA Chapter for two terms and was selected as the PMI Chapter President of the Year for both. She has been an active Trustee since 2001. She has been active on the global and regional levels as well, serving on several Boards within PMI. She created and managed a global program of Regional Mentors for three years. Ida joined Wells Bring Hope shortly after its start and has traveled to Niger a number of times, serving as videographer interviewing women. She is the Director of Volunteer Management, supervising a team of volunteers. Ida also mentors directors and managers. She is married to Mark Hierbaum, and has one daughter Stephanie. In 1980, Mark and Marsha started their own company, DML Marketing Group, LTD, located in Van Nuys, California. Marsha retired in 2017, and Mark is still running the business. Marsha is President of the Bel Air Crest Homeowners Association, and serves on many committees for the association. Marsha and Mark have contributed to many charities but Wells Bring Hope has been a very special charity for the Hierbaum Family and they have been matching donors for the last three years. WBH not only has saved lives, it has transformed the lives of so many people in these small villages. Jennifer Rice is a native Angeleno who has spent the last 30 years in Washington, DC and Tunisia working at the International Monetary Fund (IMF) and the African Development Bank in Contracting and Procurement. She holds an MBA in Logistics Operations Management and a MA in Human Resource Management from George Washington University, and a BA in International Relations/Economics from Mount Holyoke College. While at the IMF, Jennifer chaired the Civic Program Advisory Committee (2006-2010) where she acquired extensive experience reviewing grant requests to select nonprofits that the IMF would support. In 2011 after the Jasmine revolution, Jennifer worked with Tunisians and a DC-based board to become founder and chair of Friends of Almadanya USA. This organization continues to work with Almadanya in Tunisia. During a visit to Los Angeles in 2015, Jennifer was introduced to Wells Bring Hope (WBH) and its founder by a board member. She was immediately impressed with its mission, measured goals, transparency, focus, and its founder. For the last couple years, she has been able to offer some support. Now that her time is spent primarily in the Los Angeles area, Jennifer welcomes the opportunity to serve as Director of Development and to join the board to help WBH continue to grow and succeed in changing the lives of the people in Niger. As a retiree, Jennifer enjoys many hobbies including travel, volunteering, reading, investing, and sports. 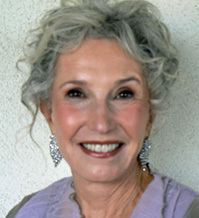 Carol Rosen received a degree from USC in dental hygiene (Trojans … Fight On) and was engaged in that practice for fifteen years. During that time, which included raising two girls, she developed her passion for cooking, which she turned into a business of custom cakes and social catering. That business grew because Carol combined competence and organizational skills with an easy-going manner that clients needed and appreciated. The catering business evolved into event planning for both individuals and corporate entities. As a Certified Special Event Professional (CSEP) Carol has continued to enjoy a fulfilling career through her company Party Designs by Carol. She loves working with clients to create their “dream” event and lasting memories. She has served as the president of several event industry organizations. Notably: The Los Angeles Chapter, International Special Events Society and International President of Wedding Industry Professionals Association. Carol has also been a mentor for many young people just starting out in the field. She is delighted to now have the time to devote to non-profit organizations like Wells Bring Hope. Carol has lived in Los Angeles her entire life, married for 50 years with two young grandsons who she loves entertaining—no surprise… she’s good at that too! 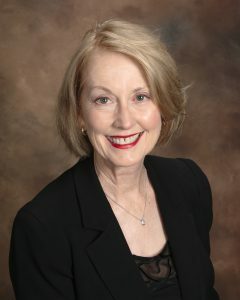 Arlene Stone is a financial and tax professional with Goldman Melcher Accountancy in Woodland Hills. She has a bachelors degree from UCLA and an MBA from Golden Gate University. Arlene has been involved with Wells Bring Hope since the organization's founding in 2008 and has worked with the organization's founder, Barbara Goldberg, for more than 25 years. 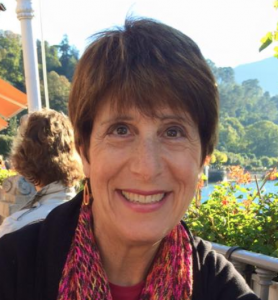 She is a longtime senior elected officer of Temple Ahavat Shalom's Sisterhood, where she plans the organization's annual sold-out Passover seder, among other events. Between raising two children—and awaiting grandchildren—she travels widely in search of new cultural experiences. Arlene has lived in Los Angeles all her life. But her travels to almost every continent have brought her up close with people in greatest need of basics like clean water, which is why she's so pleased to be involved with Wells Bring Hope and the important work of raising up communities around the world. Patricia Vick was an employee benefits attorney for over 34 years, and until her retirement at the end of 2018, was a partner in the Law Offices of Shardlow & Vick in Pasadena. Patricia graduated from USC with a BA in history and has an MA in European history from UCLA. She went to law school at night when her younger son Kevin started first grade and received a JD from Loyola Law School. 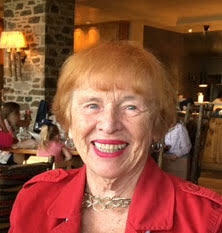 Patricia has been a member of the Board of Directors of AbilityFirst for 40 years and is a former chair. She has a personal commitment to its work with individuals with developmental disabilities because her older son, George, now deceased, was born with spina bifida. Participation in AbilityFirst’s programs, especially his 14 years as a camper at his beloved Camp Joan Mier, tremendously enriched George’s life. 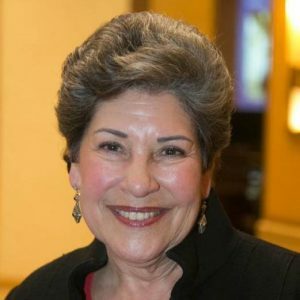 Patricia also was a member of the Zonta Club of Pasadena and served as its President. It was at Zonta that Barbara Goldberg first introduced Patricia to Wells Bring Hope. Patricia is a passionate supporter of the mission of Wells Bring Hope and joined the Board in 2018. She is its Director of Strategic Planning. Her retirement plans include more travel and spending time with her three fantastic grandsons. Gil spent 32 years in the Los Angeles County District Attorney's Office, including eight years until 2000 as Los Angeles County District Attorney. His involvement with bringing safe water to the people of West Africa began in January 2001, when he visited West Africa as the guest of the Conrad N. Hilton Foundation. The most startling fact he learned on this trip: roughly 70% of rural villages do not have access to safe water. He made four subsequent trips to West Africa and from the photographs he took, a book was born: "Water Is Key". Since 2006, he has worked tirelessly and successfully to raise awareness and funds to drill wells in West Africa. His life goal is to continue to fund wells to save lives with safe water. Gil is an internationally acclaimed photographer, having published five photo books since 2002. In the Fall of 2007, the UCLA Fowler Museum had an exhibition of his photographs, "Women, Water and Wells." In 2009, many of these photos were on exhibition in the visitors lobby of the United Nations in New York. In February, 2008, these same photographs and his words inspired the founding of "Wells Bring Hope." In May, 2014, UNESCO-IHE Institute for Water Education designated Gil Cultural Ambassador, and he has been traveling the world fulfilling the duties of his position ever since.